PR Newswire, March 24, 2015 – Chicago, IL: Mini Babybel® is celebrating the epic aspirations in all of us by showcasing the big things kids want to be when they grow up. The little cheese with big taste will help three lucky contest finalists bring those big dreams to life and have a chance to win the grand prize of a $50,000** scholarship to help them achieve their aspirations. Three lucky winners will be chosen to receive an all-expenses-paid journey in July to help the kids experience their big dreams, meet up with a role model, and compete for the $50,000** scholarship. Fans can follow the finalists’ experiences on Babybel’s Facebook page and starting on September 7, 2015, voters will decide who should win the grand prize $50,000** scholarship. Each vote submitted through September 25, 2015, will enter the voter into a sweepstakes for a chance to win a year’s supply of Mini Babybel cheese. 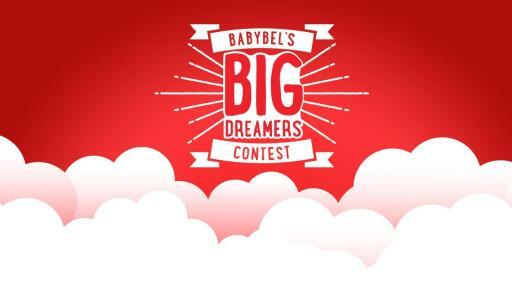 The grand prize winner of Babybel’s Big Dreamers Contest will be announced on October 5, 2015. 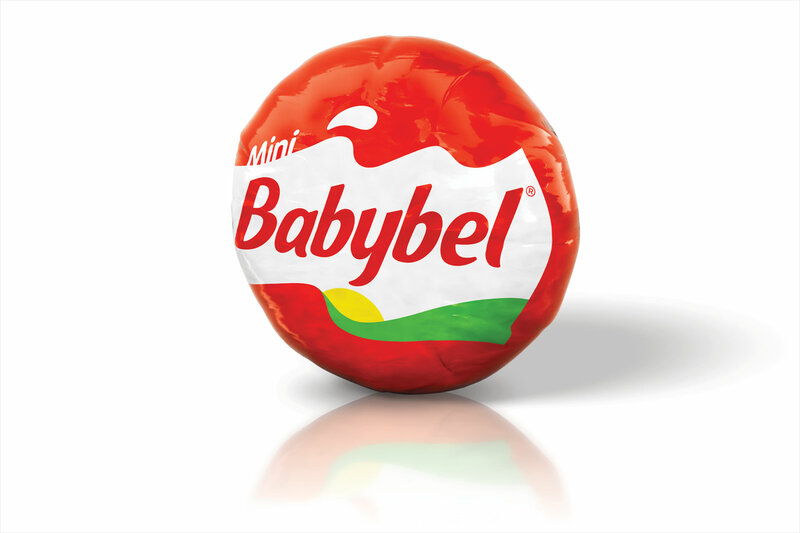 Mini Babybel® is a fun and convenient 100% natural cheese with a rich and creamy taste that all ages adore. Delicious, nutritious and sized just-right, Mini Babybel® is packed with the nutrients you and your family need. Each serving of Mini Babybel® delivers 4-6 grams of protein plus 15% of your daily calcium needs, making it the perfect choice for packed lunches or snack time for the whole family. This individually portioned cheese creates a one-of-a-kind snacking experience every time you peel open its red wax. For more information, please visit Mini-Babybel.com, or follow us on Twitter at @Babybel or on Facebook at facebook.com/BabybelUS. 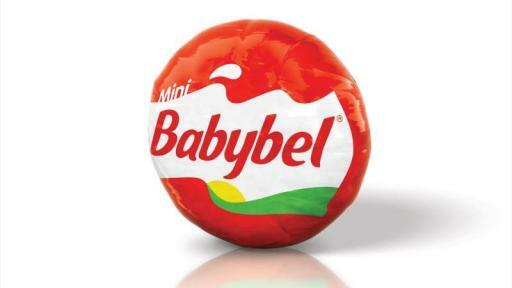 About Bel Brands USA: Known for their unique red wax packaging and deliciously rich and creamy cheeses, Mini Babybel® Cheeses are one of the most popular brands owned by Bel Brands USA Inc, a subsidiary of Fromageries Bel. A family-owned cheese maker headquartered in Paris, France, Fromageries Bel produces more than thirty local and international cheese brands that are sold in more than 120 countries around the globe. 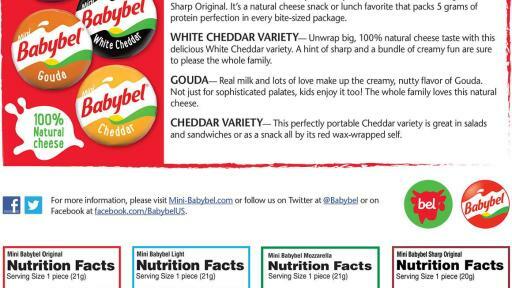 In addition to Mini Babybel®, other USA favorites include The Laughing Cow® Spreadable Cheese Wedges as well as Boursin®, Kaukauna® and WisPride® cheeses. **Official contest rules are available at https://minibabybel.prizelogic.com/.